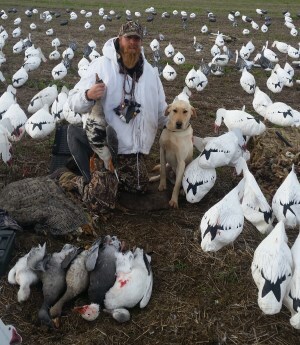 GOOSE AND DUCK & UPLAND BIRD HUNTS! 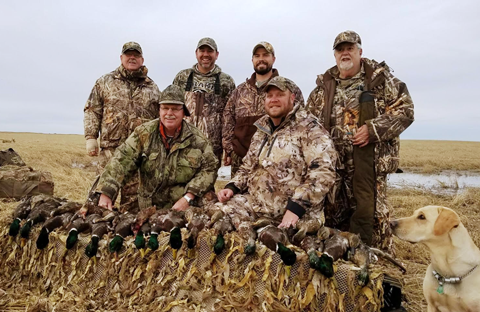 NOW TAKING RESERVATIONS FOR OUR REMAINING 2017 WATERFOWL AND UPLAND BIRD HUNTING ADVENTURES. PLEASE CALL OUTFITTER KYLE HAUCK TODAY AT 605-210-3727! 2016 - The fall waterfowl season is over. It came and went and leaves us here at High Prairie Outfitters searching for words to describe it: hard work, flexibility, adaptation, exhaustion, great scouts, and unforgettable clients. inches of precipitation to the area. 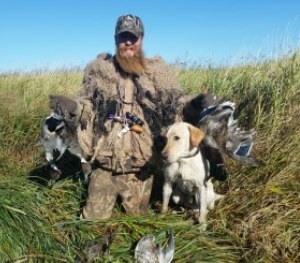 The birds were confused, we were wet, and field access for the rest of the season was limited to sleds full of decoys. In some areas, where the weather was nonstop, unharvested crops forced the scouts and myself to pack in the needed decoys on our backs. 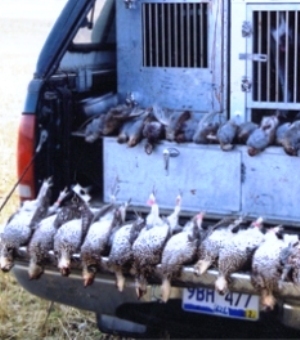 Not a single hunt was a guarantee or handed to us. Guides and clients alike worked harder than ever this season and were rewarded with great hunts. The exciting part of the fall moisture and some heavy snowfalls in areas are that the pothole regions which are crucial for duck breeding can recover after a drier year in 2016. The biggest thing that we look forward to is seeing friends new and old, making memories, harvesting game, and thanking God for every day we are blessed with on this earth.